The first ever YouTube Music Awards nominations were announced this morning. Over a week longer than expected. 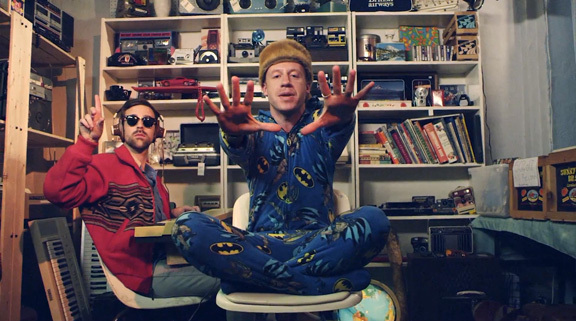 Once the again the Seattle duo Macklemore & Ryan Lewis are dominating yet another award show. They’ve been nominated for four out of the six categories to be presented. As expected, the nominees were based on popularity ranges. Which did not only include number of viewers but also the most shared and liked artists. Furthermore, out of the five videos I predicted to score a nod in my previous post only one of them -“Scream & Shout” by will.i.am. ft. Britney- failed to do so. There were some rash nods like Epic Rap Battles (as both Artist of the Year and Video of the Year for “Mitt Romney vs. Obama“) and who knows which “Harlem Shake” version (for “The YouTube Phenomenon” award) that will prevent the newest award show to gain some credibility. However there is one interesting category, the Innovation of the Year, which reflects the most creative videos, and all of the nominees come from indie artists with some cool visuals and storylines. The addition of this one reflects that YouTube Music Awards has future. This should be like a pilot episode. ARTIST OF THE YEAR: The category guideline says “Focused on acts YouTube fans have made stars”. If so, then either Eminem (whose career spawns 15 years), Rihanna or Taylor Swift needed YouTube to reach the stardom. YOUTUBE PHENOMENON: Nobody broke their brain making up this category. Apparently the ten Video of the Year nods generated a “phenomenon” already. INNOVATION OF THE YEAR: The most valuable category. As mentioned before it rewards creativeness over popularity. All the videos are worth watching -particularly “Lilies”- so I’ll be sharing them with you. The winners will be presented in a steamed-live ceremony from New York on November 3rd featuring performances by Avicii, Lady Gaga, Arcade Fire and Eminem. The following link (http://www.youtube.com/user/youtube) explains and allows you to cast your vote. Stay tuned for next week to read my predictions. Previous Post Who will be inducted to the Rock N Roll Hall of Fame?